This entry was posted in Educational Outreach, Mentorship, STEM and tagged beauty of nature, broader perspective, careers, Craig Wilson, curiosity, educational outreach, lifelong learning, non-conventional teaching, personal touch, power in observation, STEM, why we're blogging by Shana Hutchins. Bookmark the permalink. Awesome! 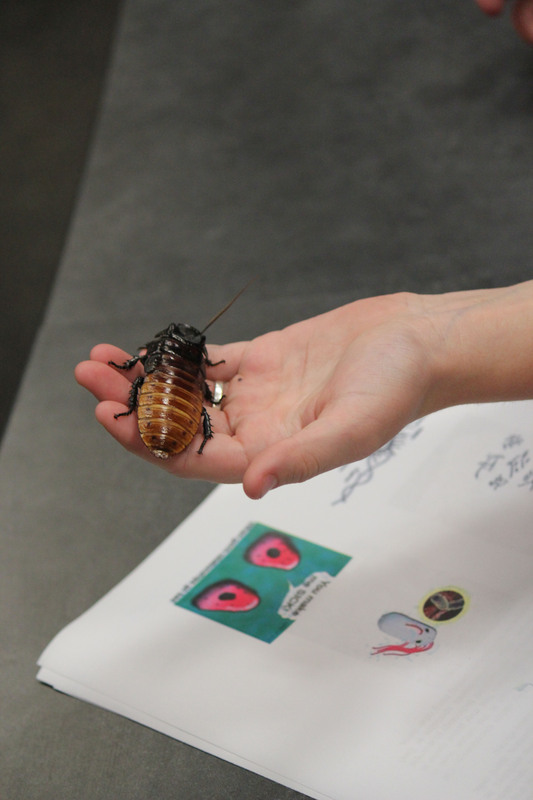 What are some ways students can learn from these cockroaches? Three parts to the body: the head, the thorax to which legs are attached in insects (and wings but not this species of cockroach as it has none) and the abdomen. Antennae/jointed legs/exoskeleton. comparative growing conditions; change one variable, e.g. 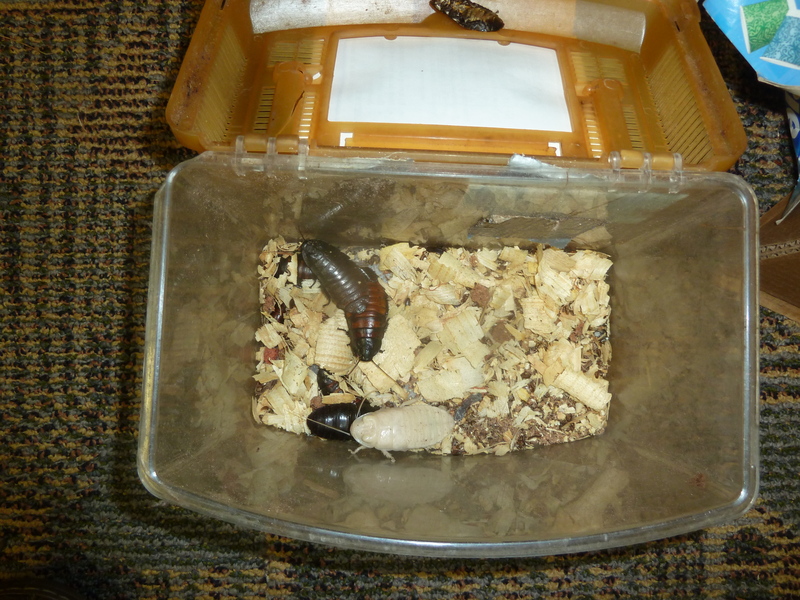 temperature; to observe differences between control group and experimental group of roaches; etc.